If you think about it, the fact that you are considering 2016 as a business owner means that 2015 hasn’t been a bad year. Just staying afloat can be a major accomplishment for small business owners, and the constant threat of future insolvency can make even the smartest local business leaders worry that there just isn’t any money to invest into expansion efforts. However, spending what you can on advertising almost always helps your business in the long run, as long as you are spending money in the right places. With strategic growth and limited budgets in mind, here are 10 marketing updates small businesses should make in 2016. The tips provided below range from conceptual to practical. Consider updating each over the course of 2016 as you have the time and resources to do so. As a successful small business owner, you probably have set and re-accessed goals in many areas of your business in the pursuit of overall growth. But, while business owners are usually comfortable setting goals about revenue, staffing, and spending, fewer small business leaders are proactive and strategic when it comes to setting goals for marketing. Even if you aren’t comfortable doing so, you should be approaching your marketing efforts just as strategically as the rest of your business. Before spending dollars on advertising, set goals for how many people you want your advertisements to reach and how many people you hope your spending will convert into customers. The more strategic you get about your marketing, the more you can successfully refine and tweak your efforts. If you have a background in marketing based on a formal business school education, that context will be invaluable for the entirety of your career as a small business owner. But, the specifics of marketing practice that were relevant even ten or twenty years ago aren’t very relevant today, and it’s a smart idea to step away from some of the traditional “rules” of marketing and start approaching advertising more with greater flexibility. For example, fifteen years ago the internet was just starting to develop as a marketing platform. These days, the dominance of the World Wide Web has completely re-written any “rules” which were relevant fifteen or twenty years ago. As a business owner, there isn’t much use to clinging to obsolete ideas. Marketing is changing quickly. Any concrete strategies that are useful today may not be useful in the future, and it can be frustrating to feel like you need to continually research marketing techniques no matter how successful your business is. Rather than worrying about all of the information that’s out there that you aren’t getting, just focus on reading as much as you can about marketing as often as you can afford to. Think of every article that you read on a marketing blog and every tip that you glean from posts like this as ammunition to get a leg up on the competition. While staying on good footing with your regular customers isn’t anything new, relationship marketing is going to become more and more important for small business owners in 2016. Your customers are starting to get just as overwhelmed by the pace of internet marketing culture as you are, and you can find big successes by making small moves to show your valued customers that they are more to you than an email address and a data point. To successfully pursue relationship marketing, think of small ways that you can take action to show your regulars how much they mean to you. Whether that appreciation is something as small as a frequent purchase punch card, or as large as a hand-selected holiday gift, is up to you and your budget. You must remember that the more you do to show your customers that you appreciate them, the stronger the relationship between your brand and your customers will be. The shift towards mobile technology was one of the biggest media and marketing trends in 2015, and it isn’t likely to slow down next year. More and more of your potential consumers are accessing the internet through mobile phones and devices. Marketing material that is catered towards mobile access will become increasingly important and effective as this trend continues. For starters, make sure that your proprietary website is mobile compatible, and displays well on small screens. In addition to looking better, mobile compatible sites do better in Google search results as well. Once your website has been updated, go through all of your social media accounts and make sure that all of your marketing imagery displays well on mobile devices. Email marketing has been around for a long time. Some business owners falsely believe that this means that email marketing is obsolete or not useful for bringing in new customers, but direct marketing through email channels still has an important place in the marketing arsenal of any small business owner. By building up a network to market to through email, you create a community completely of your own that you own and can access at your own discretion. Plus, since many small business owners have let email marketing efforts fall by the wayside, you can gain a big leg up on the competition by embracing this technique. Content marketing is all about bringing people to your website who want to be there. Good content on your site will bring people to your pages from Google searches and other places around the internet, and the importance of marketing your business through high-quality content generation is only going to keep increasing throughout 2016. This is why 2016 should be the year that you embrace content marketing completely if you haven’t already done so for your business. Depending on how advanced your current content marketing strategy is, 2016 may be about embracing new trends or catching up with old ones that you have missed. No matter where you are with content production, it is going to be more important than ever to include mixed media like audio and video in your business’s content creation strategy. The more networks you have access to when marketing your small business, the better. Building your own networks is crucially important, but when you can reach into the networks and communities of other businesses, you give your business the chance to attract new clients at a much faster rate. Joining marketing forces with another business that can mutually benefit yours is called joint venture marketing, and it’s a powerful tool for 2016. To effectively market your business through joint venture marketing, you need to think about which businesses in your area you could join forces with. Ideally, you want to work with businesses that have a similar audience to yours but sell a very different product. Once you have identified good businesses to work with, reach out, start a relationship with, and talk to them about ways that you can share your respective networks for mutual growth. If you haven’t spent much time researching your competition, both locally and nationally, 2016 is the year to do so. And, if you don’t see researching your competition as a marketing strategy, you probably aren’t approaching your research the right way. First, make a list of competing businesses in your area, relying on the internet and your own knowledge of your local market to build up a library of businesses that are in direct competition with you for customers. Then, start digging through their marketing efforts to learn what your competition is doing right and wrong. You can start with social media pages and websites but move from there to research more deeply and aggressively every marketing effort that your competition makes. From there, think about how you can borrow and replicate successes. For example, if one of your competitors has been very successful in building up large social media followings, look at what kind of content they share and think about how you could adapt strategies to your own pages. When you take the time to strategically and aggressively research what your competitors are up to, you give yourself the opportunity to recreate successes and exploit weaknesses. Every business and every audience are different, so it only makes sense that every marketing strategy would likely differ as well. This means that all of the tips that you find in guides like these should only be taken as starting points. You will need to find what works for you and your audience, and the only way you can know with certainty what will be successful is to start getting experimental. As long as you rigorously document the results of every marketing experiment that you conduct, and put in the time and effort to learn from everything that you try, there’s no such thing as marketing mistakes – only learning opportunities. Keep experimenting throughout 2016, and you will be in a much stronger place by the end of the year. 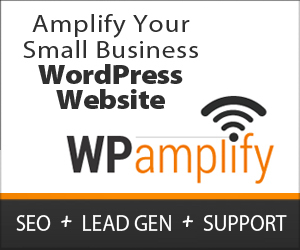 Contact WPamplify to learn more about cutting edge marketing techniques for 2016.